Minimum unit cost per magnet means a big return on your marketing and advertising budget! Which gives constant reminders of your brand & services. Marketing fridge magnets that are distributed as give-away or compliment or freebies are great for various promotional activities. BRANDTAG can customize the magnets in all shapes and sizes from the standard square or rectangle shapes! You give us the size, BRANDTAG makes it. Fridge magnets can be used to gift at exhibitions, seminars, Annual Events, or along with door-to-door leaflet distributions. Printed magnets can be spotted in fridges at homes and at work and will get viewed by many people as the longevity is vast allowing for many people to see your message on your promotional magnet. 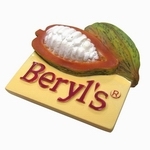 Advertising magnets can used as part of a gift bag for a promotional give-away. Personalized Fridge magnets come in many shapes and sizes and can be cut to your bespoke shape if needed. 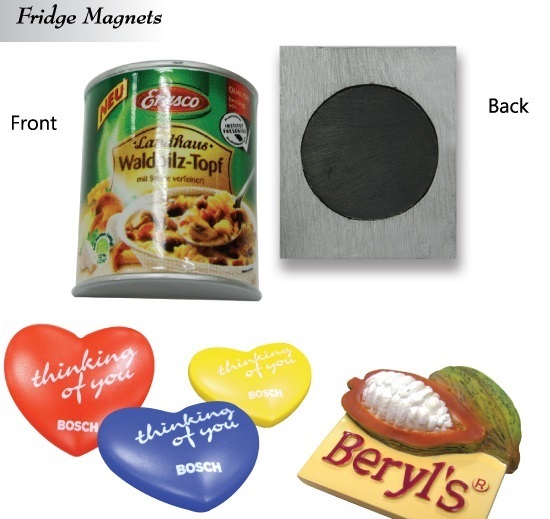 Promotional Fridge Magnets are another advertising medium guaranteed to be in every household and even on the work place fridge.BRANDTAG also do a word game magnet that allows users to play with magnetic words or you can have them with note pads for those important messages. In general promotional magnets are fun, colorful and a budget conscious way to promote. It’s a cute promotional fridge magnet preferable by children as memo holder. Personalized magnets are a great give away and ideal for mail shots or cover mounts. Promotional magnets can come in various styles including the popular calendar magnet and even wooden magnets or eco-friendly ones. Some tiny details can’t be painted well by hands can be made by Pad Printing. If logos with gradient colors, we can do offset printing on special paper and then water transferring these colors on poly items. 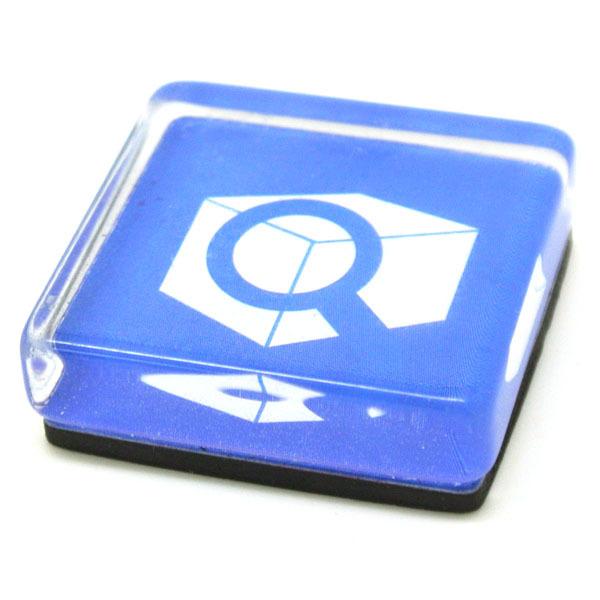 Custom soft PVC magnets can be made in 3D cubic or 2D flat magnets. It’s a cute promotional fridge magnet preferable by children as memo holder. Backside can be rubber magnets or embedded with rigid magnets. 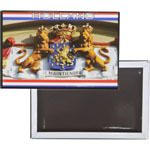 Backside can be fixed with rubber magnets or with rigid magnets as memo holders. Magnets can be embedded in PVC (covered by PVC) to get a neat back view. Our custom made fridge magnet is made of aluminum material with full color printing, backside with rubber magnets which thickness can be varied from 1mm to 2mm. 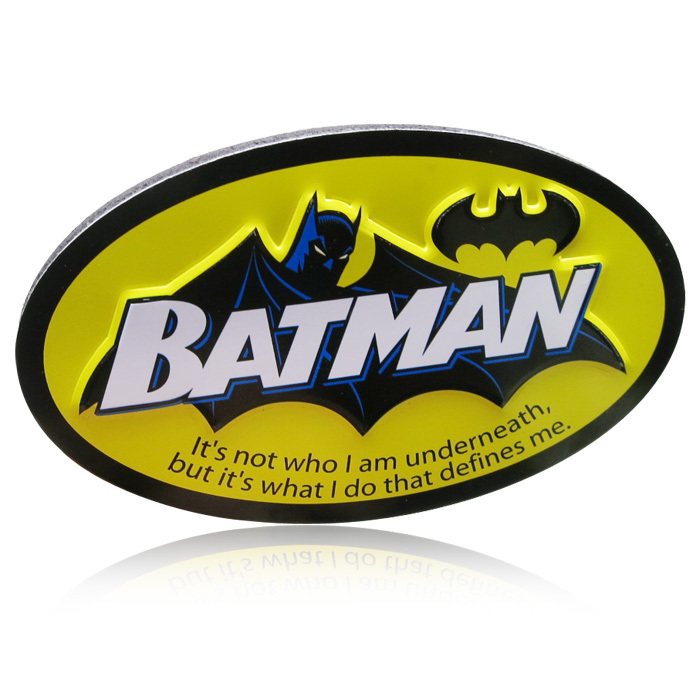 Aluminum printed fridge magnet is high-gloss, durable and waterproof, both 2D or 3D relief are workable. Definitely its a hot selling product for brands, parks, government organizations, restaurants, boutiques, cake shop and souvenir shops, just email us the design or artwork, actual size, shape and quantity, we can complete your metal printed fridge magnets. Delicate, durable and water proofed fridge magnet. You can either supply us with your own finished artwork or have one of our design team can create something special for you. The samples shown are only a small selection of promotional magnets that we’ve printed. As you browse through please remember -if you can imagine it, we can make it! BRANDTAG is one of the Fridge Magnets manufacturer or supplier in Gulf/Middle East/Africa Region, we are based in UAE, we can supply in any Emirate like Abu Dhabi, Ajman, Dubai, Fujairah, Ras al-Khaimah, Sharjah, and Umm al-Quwain, Al Ain and in Gulf regions like Qatar, Oman, Kuwait, Bahrain, KSA …etc. The minimum MOQ has to be 500 pieces and above, the production will take 20 – 30 days. For detailed information & specification and for quote for the Fridge Magnets, please call us on +971 55 1765405 or email us : mithun@thebrandtag.com. Click Here to Subscribe to our e-mailers.